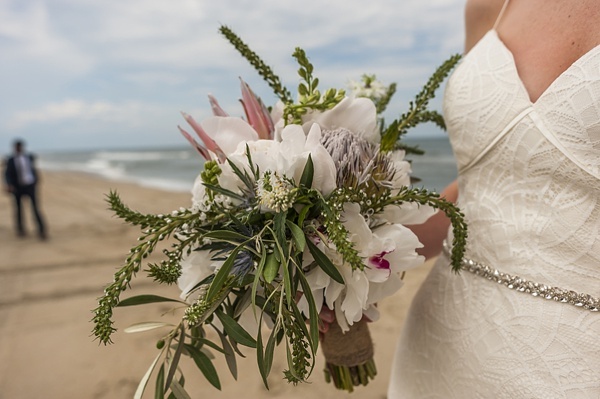 Nothing highlights a wedding day more than the joy on a bride's face as she says "I do" to the one she loves, especially when surrounded by closest family and friends with one beautiful Atlantic Ocean waving its own kind of congratulations. 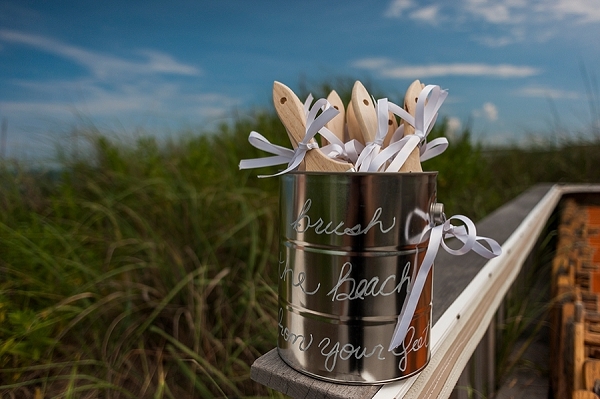 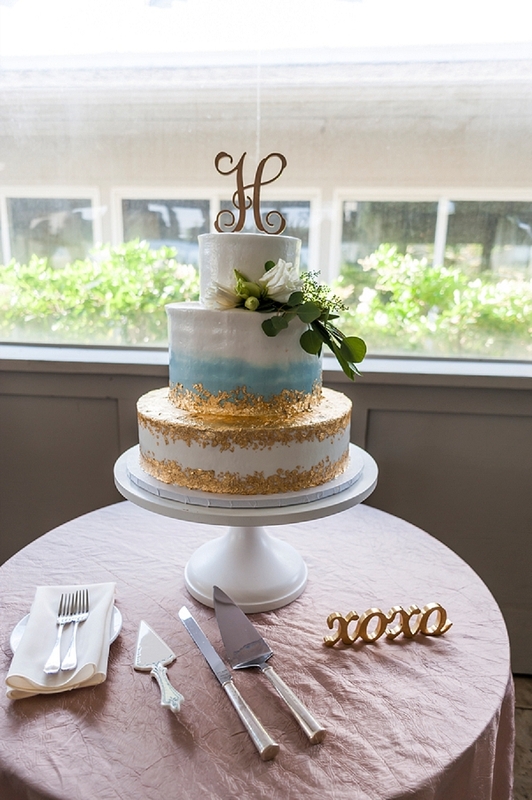 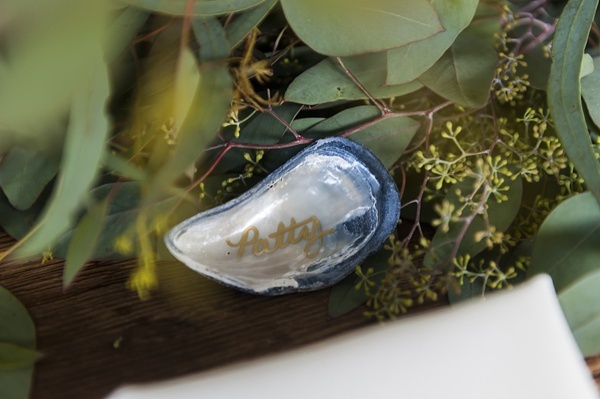 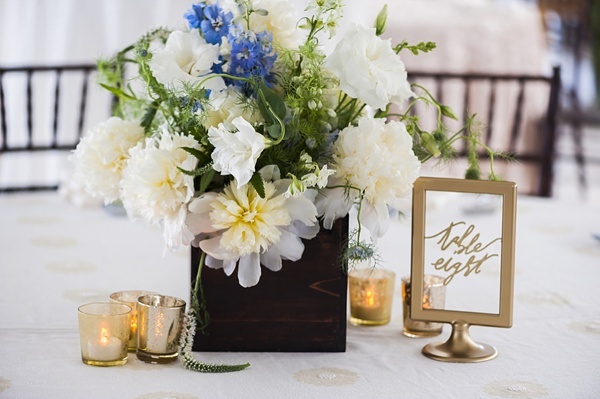 We love the DIY details that Abigail and Ryan incorporated to personalize their special day on the beach, particularly the mussel shell place cards, calligraphy table numbers using IKEA frames, and the paint brushes to help their guests dust off their sandy feet after the ceremony. 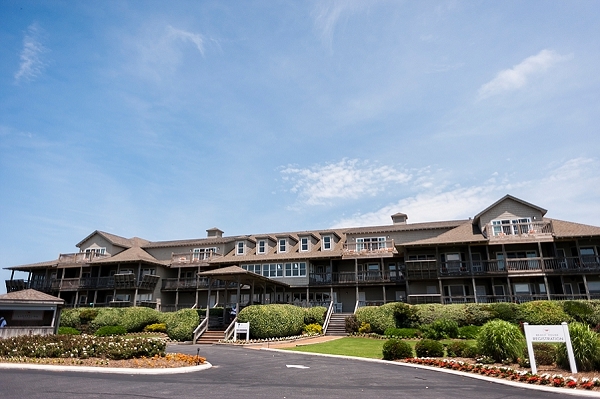 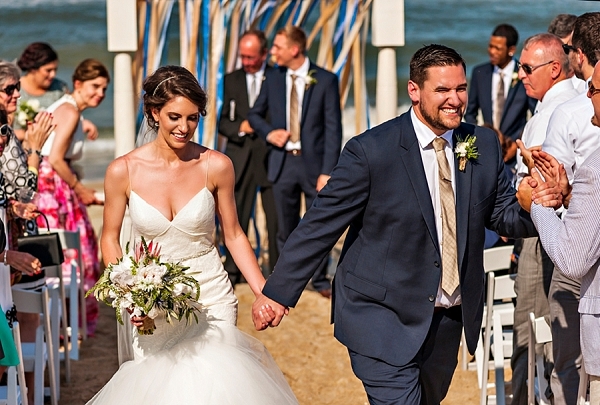 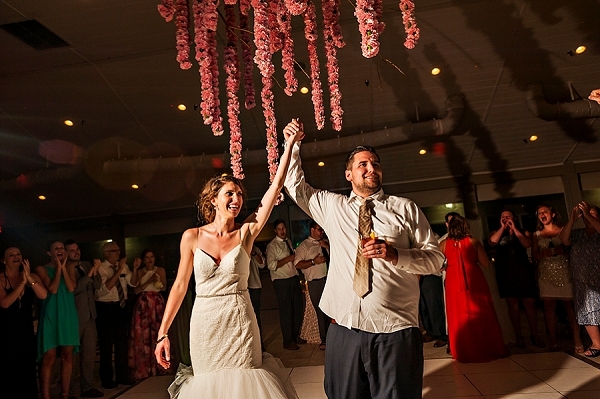 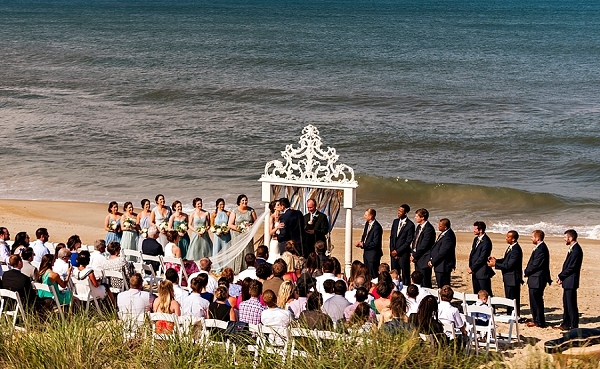 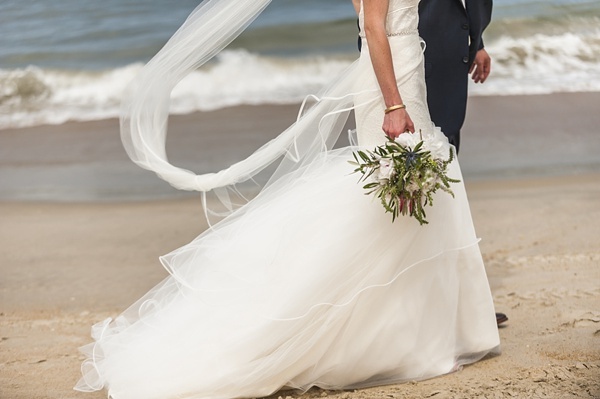 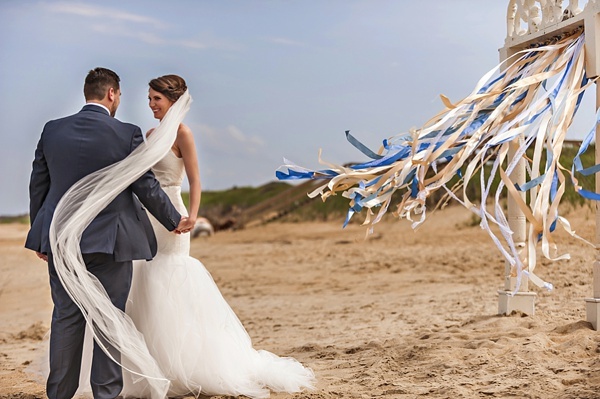 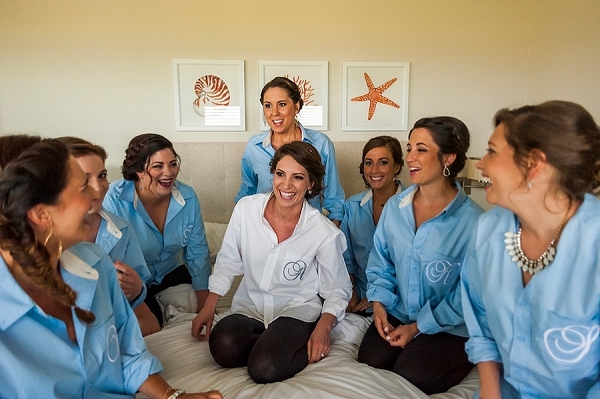 Captured by Brooke Mayo Photographers, Abigail and Ryan had the most beautiful destination wedding day at the Sanderling Resort in the Outer Banks. 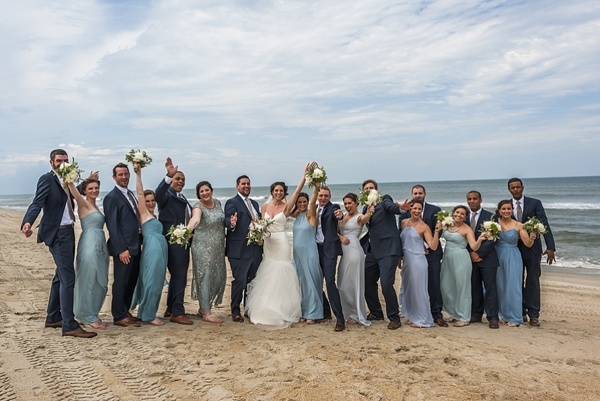 With a gorgeous multi-colored ribbon and white mantle ceremony arch, shades of aqua and blue bridesmaid dresses, and golden touches, the scene was set for a memorable day!